Most of us have made it onto a roller coaster at one point or another, even if it was a kiddie ride at the local fair. What most of us haven’t done is pushed our adrenaline levels to the absolute max on the scariest coasters in the country. 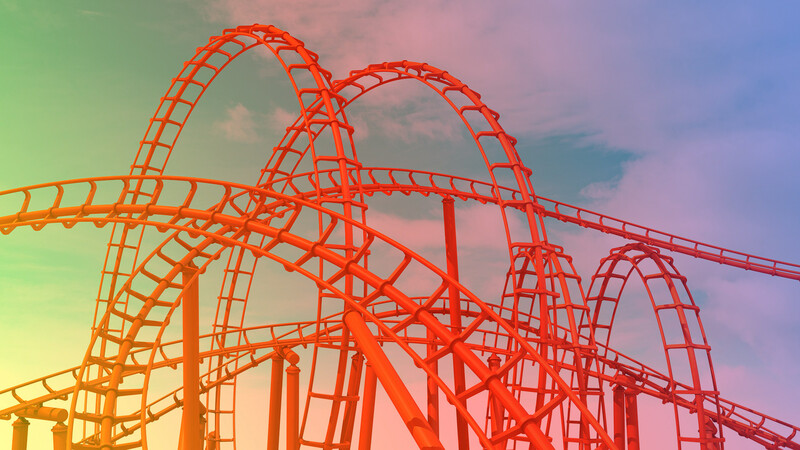 If you’d like to dip your toe into the life-flash-before-your-eyes terror of some of the most intense roller coasters ever to be designed, this is the list for you. From spiraling monstrosities to dropping hundreds of feet to coasters that reach speeds of 120 miles per hour, these rides are not for the faint of heart. In Santa Claus, Indiana, Holiday World is home to some seriously quirky rides. Family owned and operated, the park’s themed areas celebrate four major holidays, including Thanksgiving. The Voyage is a relatively new wooden coaster with a surprising theme — the voyage of the pilgrims. Pilgrims aside, it’s a major thrill thanks to record-breaking air time that leaves you grabbing your safety restraints in terror. Jackson, New Jersey, is home to the world’s tallest roller coaster. Ride trains are launched using a breathtaking hydraulic launch system to a mind-boggling height of 456 feet before plummeting back to the ground. You’ll want a souvenir photo after you take this tiger on. Themed after NASCAR champion Dale Earnhardt, The Intimidator 305 is a steel coaster with a toe-curling drop of 300 feet. 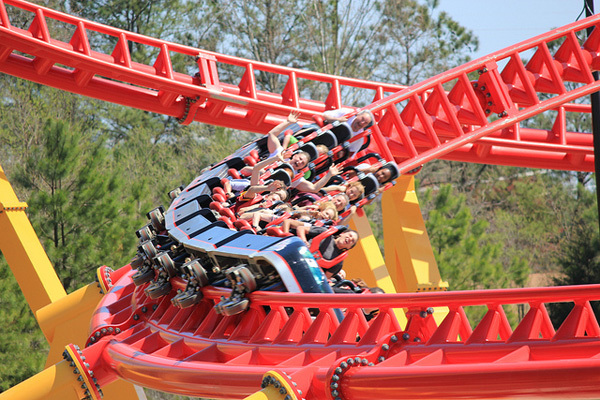 One of only a handful of U.S. coasters reaching such heights, it draws thousands of coaster enthusiasts to King’s Dominion in Doswell, Virginia. 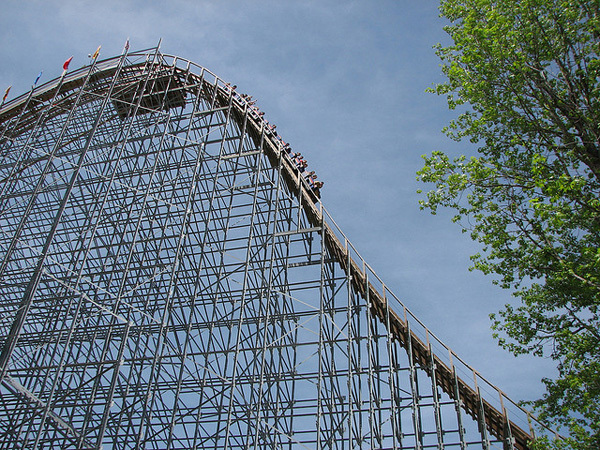 When it comes to coasters, there’s no better destination than Cedar Point in Sandusky, Ohio. 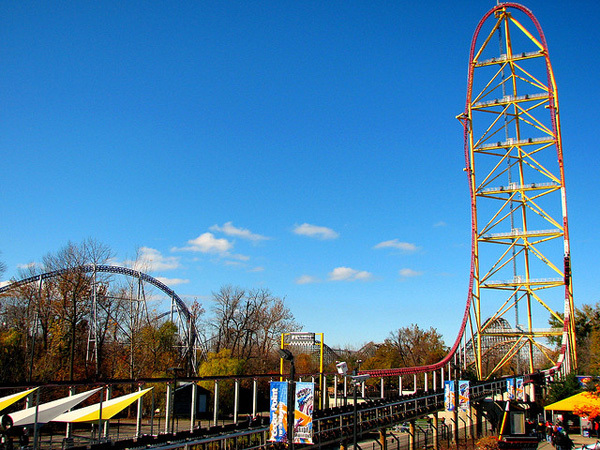 This thrilling park is home to several record-breaking coasters, including Top Thrill Dragster, which reaches speeds of up to 120 mph. 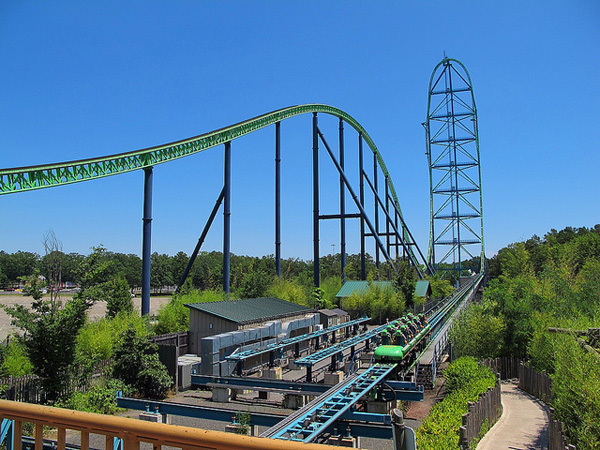 Though Kingda Ka surpassed it in height, the Dragster is still one of the most-terrifying rides in the United States. 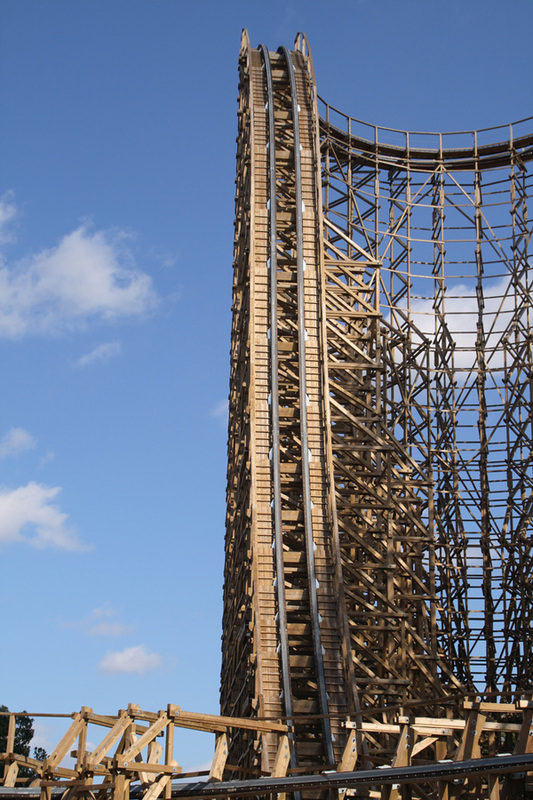 Though nearby Kingda Ka towers over it, El Toro provides its own charm and thrills. Built in 2006, El Toro is a record-breaking wooden coaster with a massive drop that will have you screaming before you’re halfway down. As a newer wooden coaster, it’s a smoother ride than what you’ll experience on vintage coasters.